If you're like me, keeping your hands warm while out shooting in cold weather is no easy task. A good pair of gloves will help to keep the hands warm, but finding gloves that also play well with the camera is a tall order. The Markhof Pro Model Photography Gloves are one of the newest product offerings from Vallerret. I managed to get my hands on (and into) a pair of these to put them to the test. Are they up to the task of keeping your hands warm while at the same time allowing for easy use of the camera? Read on to find out. In my last article, some tips for cold weather photography were discussed. That article pointed out the importance of keeping your hands warm while out shooting. Cold hands are a sure way to shorten any outdoor photography outing. If your fingers feel like icicles, it is much more difficult (if not impossible) to manipulate the camera controls. Ultimately, if you are not comfortable, your creativity will suffer dramatically, and you will be much less likely to get the shots you want. Vallerret, based in Voss, Norway, was founded in 2014 by Stine Lyng Jorgenson and Carl van den Boom. Faced with the same struggle that we all have to keep their hands warm when shooting in the cold, they decided to take matters into their own hands (pun intended). Following a number of prototypes, the original Vallerret gloves were introduced via a Kickstarter campaign in late 2015. The gloves were well-received and the campaign was a success for the young company. Fast forward a year or so, to mid-December 2016. Vallerret introduced their new glove models, as well as other products, just in time for the new year. To learn more, check out the Vallerret website. Removing the Markhof Pro's from the packaging, it is immediately apparent that they are well-made with quality materials and construction. The soft outer shell is composed of polypropylene and leather materials. The palm is a very soft suede that is partially covered with a tacky, kind of rubbery material on the palm and fingers to provide a better grip. The back side of the thumb is a softer microfiber and a short zipper is located on the back of each hand. The wrist is elasticized to provide a snug fit. 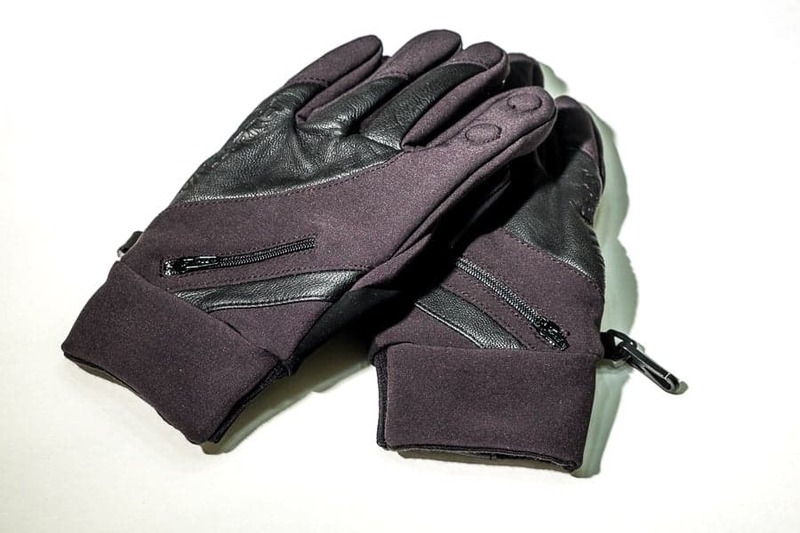 The inner lining of the glove consists of Merino wool to provide extra warmth and comfort. One of my biggest questions was how the gloves would fit. One of my pet peeves is gloves that have fingers that are way too long. All of that extra space just gets in the way and would make handling the camera more difficult. Vallerret provides a sizing guide on their website, which I used to make my decision. Although one of the measurements fell in the upper part of the medium range and one was in the large range, I decided to go with a pair of medium gloves. That turned out to be a good decision. The gloves fit nicely, without a lot of extra glove at the end of the fingers. They are quite comfortable on the hand and look good to boot. By the way, Vallerret offers a 30 day size exchange, just in case. The primary goal of all gloves is to either keep your hands warm or provide protection. Gloves that are designed specifically for photographers need to have a few extra features in order for them to be usable with a camera. The Markhof Pro gloves have a lot of cool and practical features that make shooting in the cold more enjoyable. It was mentioned previously, but the rubberized covering on the palm and fingers is a really nice addition. Handling photography gear when it's freezing can be a tricky, and risky, proposition. This is especially true when changing lenses. The last thing you want is for a lens to slip out of your hand and crash to the frozen ground. The tacky grip really helps in this department. Although there are probably plenty of other gloves with this feature, the zipper on the back of each hand can certainly come in, shall we say, handy. It's not a huge pocket, but it will hold a memory card or two, a microfiber lens cloth, or any number of other small items. I haven't tried it, but you may be able to put one of the small chemical hand warmers in these pockets to provide more heat for really cold days. My favorite feature of these gloves is what Vallerret calls the FlipTech finger caps. Slits at the end of each index finger and thumb allow you to easily and quickly expose these fingers to operate the camera dials and buttons without removing a glove. The really nice thing about this feature are the magnets that are located on each side of the slit that hold the finger caps out of the way. Yeah, But Are They Warm? The Vallerret website gives a temperature rating for these gloves of 14 degrees Fahrenheit (-10 degrees Celsius). These ratings are difficult to evaluate because not everyone handles cold the same. What may be comfortable for one person may be way too cold for someone else. For me personally, these gloves worked well down into the upper teens (Fahrenheit degrees). My hands weren't toasty warm, but they were certainly usable. For colder temperatures, the addition of a hand warmer might be a good idea. The FlipTech finger caps are a great feature, and one that is really a necessity for easy access to the camera's controls. The only catch is that those slits allow some cold air into the glove, which will be more noticeable if it is windy. 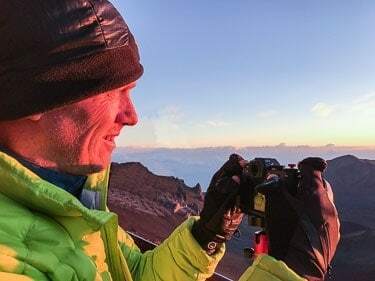 I noticed that my index fingers were particularly colder than the other fingers on a cold and windy sunrise shoot at the summit of Haleakala volcano. A cold and windy sunrise on Haleakala with the Vallerret gloves. As with any product, the big question is of course, are these gloves worth the cost. With a price just north of $70, these are not an inexpensive item. If you are a photographer who has not found a good glove solution for shooting in the cold, I would say these are worth the price. However, if you regularly shoot in extreme cold (temperatures down into the single digits or below zero), these probably won't be warm enough. The new Vallerret Trigger Mitt, with a temperature rating down to 5 degrees Fahrenheit would likely be a lot warmer. For winters where I live in the Midwest, these will work most of the time for me. On extremely cold days, I will add a large pair of mittens to my bag to periodically slip into for extra warmth. As we all know, there is no perfect product. These come close, in my opinion. They are well-made, fit very well, and perform as specified. Here are some the things that I liked about these gloves, as well as some concerns. Admittedly, I had a difficult time coming up with any cons. It is obvious that slits in a pair of gloves will allow some cold air to enter. But that is a feature that is necessary in a pair of photography gloves. Adding some kind of flap over those fingers would block some of the cold air, but would make access to the fingers more difficult. If there is a way to do it better, I suspect that it will show up in future Vallerret models. Note that I've only had the gloves for a short time, so can't speak to their long-term durability at this point. One additional note: as of now, the Vallerret gloves can only be purchased through their website. A quick check shows that the Markhof Pro's are now available in all sizes. Just be sure to allow plenty of time for delivery, since they will be shipped from Norway.